The Pronomic MS-200 One-Hand Mic Stand with Base Plate is a solid mic stand with an elegant base for stable, low-noise vibration; even under adverse stage conditions! With the practical one-handed grip; the height adjustment is nice and easy to move. 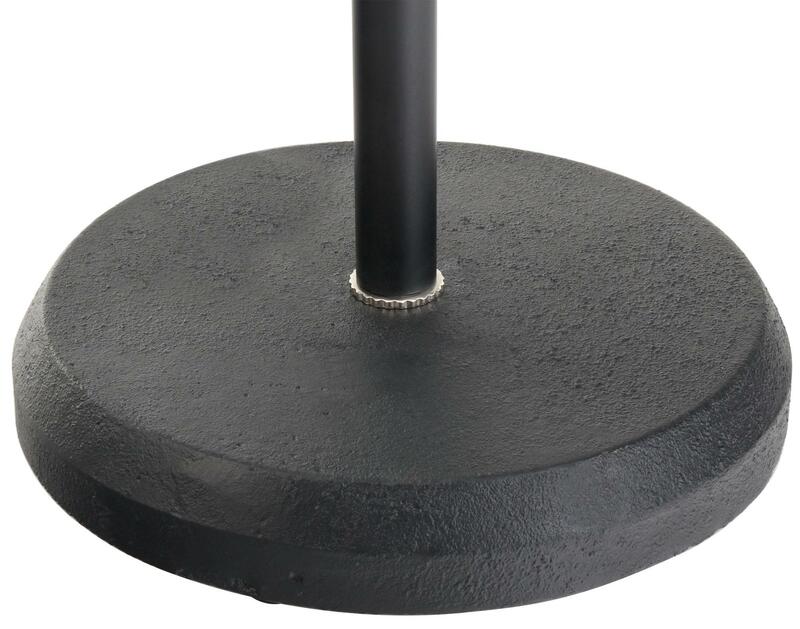 Simply by pressing the one-hand adjustment, the height of the stand can be expanded up to the maximum height of 168cm; or decreased to the minimum size of 102cm. Thus giving you perfect microphone height; quickly for your performances! A microphone cable-clip (included) can be mounted on the shaft of the stand; which allows you to neatly attach the microphone cable. By doing this; the microphone cord can not wiggle and flap around causing unwanted noise. In addition the cable-clip keeps everything neat and tidy! Thanks to the removable base; the stand fits easily into any car trunk. 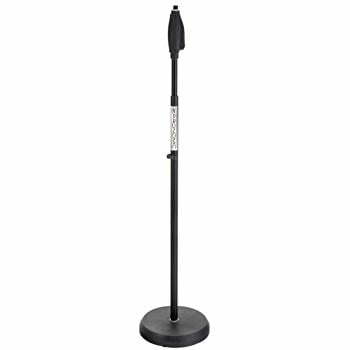 An outstanding yet affordable mic stand for studio, rehearsal room or stage! For any Questions about our Pronomic MS-200 One-Hand Mic Stand with Base Plate; or for Prices on delivery to the EU please contact us. Or; why not visit our Facebook page and follow us? You can see ALL the latest info as it happens!